This black bean and wheat berry pilaf recipe is so versatile that you can create many dishes out of one. So while I call it a pilaf it can become whatever you want it to be. Serve it as is or a top a bed of leafy greens and it’s a salad. Roll it up in a whole grain soft tortilla and it’s a wrap. In my ongoing effort to eat healthier, I have found that what is old is new again. The wheat berry has been around through the ages. It is delicious and nutritious, yet it is not a common kitchen staple. the entire wheat kernel (except for the hull), composed of the bran, germ, and endosperm. Whole grain in it’s truest sense. You would think that something so natural would be easy to find. The local grocery store did not carry this but I thought for sure I would strike gold at Whole Foods. I did but only in the bulk section. They didn’t carry a prepackaged variety. Not surprisingly I did find a variety of them on Amazon.com. 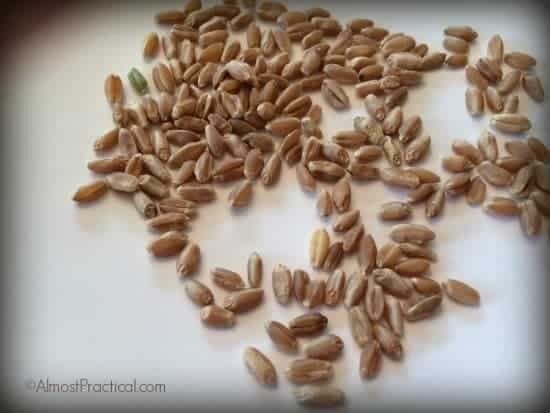 I believe the variety that I used are the hard red wheat berries. Ok – now that you’ve tracked down the main ingredient, let’s cook! Rinse 1 cup of uncooked wheat berries and them to two cups water in a medium pot. Bring the water to a boil and reduce the heat to low. Simmer for about 25 minutes or until the wheat berries are tender enough to eat. However, they will be chewy and nutty when the are fully cooked. While the wheat berries are cooking, finely chop 1/3 cup red onion, 1/3 cup fresh cucumber, 1/4 cup fresh basil leaves, and 1 long green chili pepper. Also, juice 1 small lemon. Drain and rinse 1 15 ounce can of black beans. When the wheat berries are done cooking, drain the excess water and allow them to cool slightly. In a large mixing bowl combine the cooked wheat berries and the above add ins. Serve as is or on a bed of greens (fresh spinach, romaine lettuce etc. ), or rolled in a soft tortilla. Leftovers can be refrigerated and eaten cold the next day or warmed slightly in the microwave. 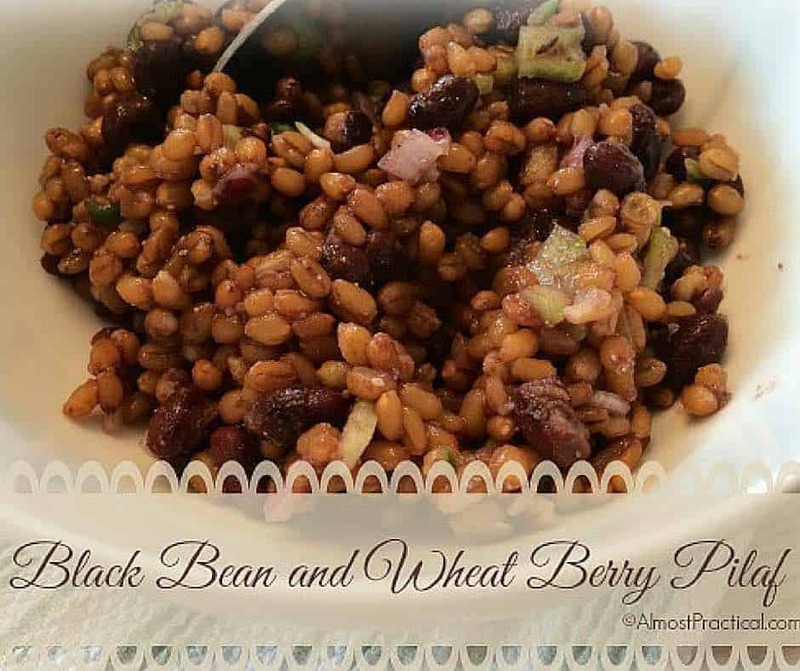 You can easily make this black bean and wheat berry recipe your own by experimenting with the add in’s. If you strike a great combination be sure to tell us about it!